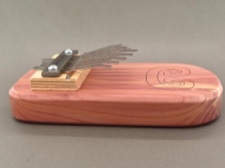 Handcrafted cedar board thumb piano made in the Blue Ridge Mountains of North Georgia and designed exclusively for Caravan Gallery. Etched with the petroglyph symbol perceived by many as a tangible connection to their special island, St. John. There is also a wonderful cedar aroma around these beautifully finished boards. 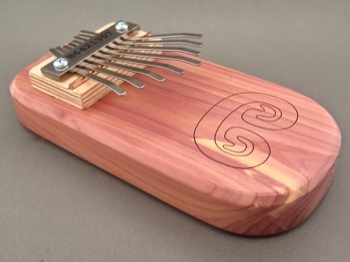 This kalimba is tuned to the diatonic scale. It comes with a play by number songbook containing a brief history of the instrument, and how to care for it. We also will send you information on the petroglyph symbol. A lovingly created, unique gift. 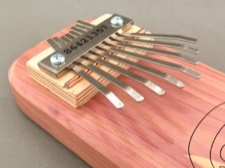 Kalimba measures 6 inches long, just over 2.75 inches wide, and with the piano keys is 1.5 inches high.